Hmmm okay. I have always been using a wider SL than that. The first trade with the check i would have put the SL around 1.16348 area, since that was the last swing high. Putting it at the 1.1585 area would have been a really tight SL. I would aim for at least 1:1 on all trades so the TP would have probably been set at 1.14902 area which wouldn’t have been hit on that first move lower. It would have remained open on the next move higher and past the profit mark into loss territory. The second trade with the check at the 1.1532 area would have had its SL at the 1.16 level. A 1:1 would have seen the SL at 1.1462 sort of area. It might have been triggered on the move lower. I have had issues with “cheating” the SL as i think of it in the past, basically using a too tight SL to try to obtain a better R:R ratio. As for the first trade I indicated the entry at 1.1486 the SL would have been put at 1.1548 which is above the swing and also the falling trend line that has formed. Again at least 1:1 would have put me at 1.1426 level which is below the bottom swing. If i had sold the last one there at 1.1454 level my SL would depend on the candles that had not formed yet. I would have looked for the move higher before the sell off and then used at least 1:1 also. Had i taken the first one and was still in it while the second one happened i would have derisked the first by moving the SL to breakeven and then taking the second trade on the 1.1454 level. I might not have taken these though due to the NFP being this morning. What i have mostly achieved with the 3 ducks is breakeven after many trades. I think where i need work is the SL and the TP’s. The author mentions 30 pip SL’s and stuff, i have been using wider ones as demonstrated above. You have to remember that there are always 3 swing highs and 3 swing lows. There is the last Swing High and Low on M5, on H1 and H4. Sometimes they are the same and sometimes they are all different on each of the 3 charts. However, according to the 3 ducks method (eBook), the trade should be placed on the M5 chart and the swing points to focus on are the M5 ones and not the ones on the higher time-frames (Pages 10-13). It also mentions that you should close out the trade when it crosses the SMA60 again (Page 13). Obviously, this is discretionary and traders can opt to use the swing points at the higher time-frames but do this if you are skilled and know what you are doing. This is because the position will then be a longer-term one in which the third duck is ignored during its duration (you will not close out on the M5 SMA crossing). Personally, I believe that if you only use the swing points of the higher time-frames you will defeat the whole purpose of using the three time-frames since your trade will only be based on two or even just one of the time-frames. Obviously, this is not a problem if you are a skilled trader and know what you are doing, but if you are still trying to get your “duck hunting license”, it is best to stick to the M5 for the swing points. 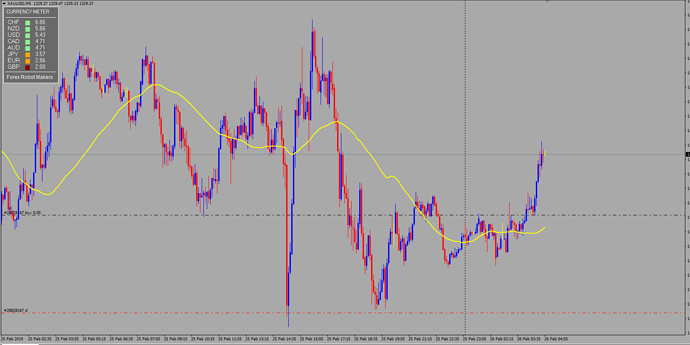 Okay so what your saying is i should be identifying the trend using the 60 SMA slope on H4. Confirming on H1. Then selling/buying on the swing breaks on the M5. I think the issue i always have had with this system is where to put the SL and TP, how large SL. I am going to create my own tread for this week and post all my positions i take using this method. Hopefully i can gain some more insight this way. How should i manage my open M5 trades if i am asleep during the EUR session and really only available during the EUR/US session overlap and then in asia session? The big moves happen in EUR session when im sleeping so its difficult to be monitoring the M5 through most of the EUR and US session. What would you recommend? I know the guy who made it lives in Ireland. Yes, that can be difficult if your location or if schedule is not favourable and that is why I also use some automation in monitoring my position once I have placed it. However, for truely manual trading only, you can opt of choosing currency pairs or other instruments that fit your daily schedule better, instead of the EUR/USD. The “Captain” also offers a paid course for a variation on the method that does not require you to monitor the trade, where you simply define a stop-loss and take-profit and only monitor the trade once on a daily basis. I never took that course so unfortunately I do not know more about it. What do you think of this GBPUSD trade this morning. I took it and was stopped. Happened while I was sleeping, my order was set late in the Asian session to buy at the break of the resistance from the previous day’s European session as well as the Asian session and the spike occured but it was a fake out and a quick stop. I don’t usually trade on Friday. However, even though it looks like a valid 3Ducks setup, I would personally not have entered that trade because both H1 and M5 had been ranging for quite some time. H1 had been stuck in a range on Thursday and during the Friday’s Asian session, M5 had been ranging and whipsawing around an almost flat SMA with no clear direction of where it would go next. Always look at how the charts “look and feel”. Don’t apply the 3 Duck rules in a mechanical way. Just because the setup is all on the right side of SMA does not mean that you should ignore all the other indications on the chart. Don’t try to force a trade! Always look for the best or better instrument to trade that has the stronger setup. If there are no clear favourable trades, just stay out of the market. I wish you the best of luck with your Majik Duck$ hunting! May you gain insight about your trading experience! Why did you wait for the pullback before entering the trade? If you had entered the point 60 sma was below you still would av made some good pips… Or I’m I wrong? I am applying today on GBP/AUD 1h chart, watching the action starting at 8 AM London Time Zone. I am also applying today on EUR/USD 1h chart, watching the action starting at 8 AM London Time Zone. Here is a nice little trading system i came across a while back on one of many trading forums. Another good and intelligent trading systems which you guys might enjoy is the 3 duck trading system the prose of the system is that is trend f. The other good aspect of this trading method is that is very simple and easy to use as well and it’s use only 1 indicator or time frame. The less indicator used is usually the better as it becomes easier for the trade to detect the trade signals from the setup forming. sounds like an easy enough system to follow ill take a look next time im on the charts. i take it thats a simple moving average and not a smoothed? Thank you! I’m a newbie and I’m going to give this a try. Thank you for the clear explanation. Is this system still humming along? Working? Who’s making bank on it?